From the traffic lights at Taiganova Industrial Park, head north on AB-63 N for 31.6 km. Keep right to stay on AB-63 N for 18.6 km. 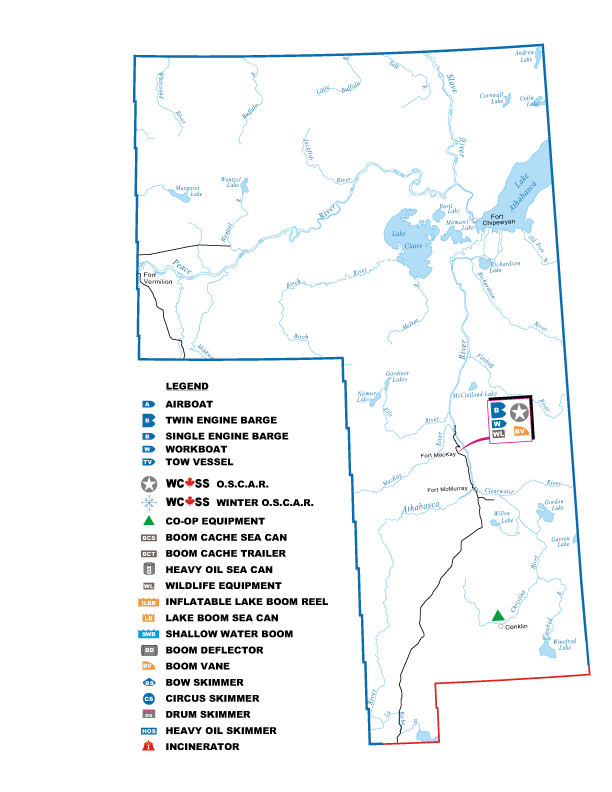 Turn right into Fort McKay Caribou Industrial Park, go 750 meters (east), turn right (south) and go 260 meters to Clean Harbors Energy and Industrial Services on west side of road.